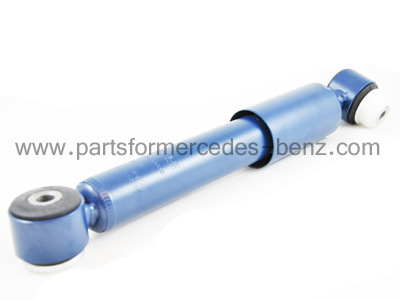 To Fit: Mercedes A Class 1998-2004. *To ensure suitability of this product for your vehicle, please supply your vehicle chassis number when ordering. German manufactured, original equipment specification aftermarket part. Designed to the same exacting standards as the original parts fitted to the car. Even supplied with the same two year warranty! Equivalent Mercedes part numbers; A1683200231, A1683200431, A1683200231, A1683261500, A1683261300 (for reference only). Due to the critical nature of this product, and its vital role for your safety, we recommend that shock absorbers are only replaced in pairs. Item priced individually, please select quantity of two when ordering.